There are many documented haunted houses in California. Perhaps California is a hotspot for ghosts because many people came to the Golden State to make their fame and fortune, but instead they met tragic endings. Maybe their spirits remain because they cannot give up on the promise of what could have been. Whatever the reasons, there have been stories of haunted houses since the 1800s. 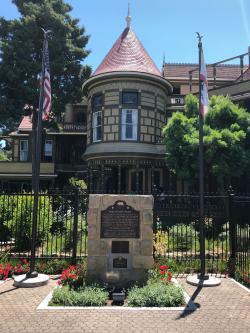 Probably one of the most well-known of the haunted houses in California is the home of Sarah L. Winchester, heiress of the Winchester rifle dynasty. She began a building project in 1884 after the death of her husband and daughter. The 160-room Victorian mansion was never completed because she continued to expand the site. Construction lasted for 38 years with carpenters working 24 hours a day. Many of the rooms and staircases are dead-ends. Sarah believed a medium who told her the only way to appease the restless spirits of those who'd died as victims of the Winchester rifle, was to constantly build onto the mansion with doors and staircases that led nowhere. Sarah was the first person to see ghosts in the mansion and in an attempt to control the nightly interruptions, she'd ring a bell at midnight to summon the spirits. Every night Sarah went through this ritual and at two am, she'd ring the bell again to let the otherworldly guests know it was time to leave. Spirits don't always demonstrate good graces, and many took up permanent residence in the mansion. You can tour the Winchester Mystery House and might experience some of the phenomena. Dubbed the number one most haunted house in the United States by Travel Channel's TV series, America's Most Haunted. The Whaley House has an odd history surrounding it. Built in the late 1850s, the home site was situated on grounds previously used as a public gallows. Among those hanged was Jim Robinson who claimed he was innocent of the verdict of committing grand larceny. Thomas Whaley, who built the house years later also witnessed Yankee Jim's hanging. When Whaley built the home, he included a granary, and rented a room in the house to the county to use as a courtroom. Whaley ran a general store from the house for a while. After the Whaleys moved, the building was used for a variety of businesses and functions. In 1960, the house was turned into a museum. San Diego Union newspaper reported that soon after the Whaleys moved into the house they began to hear the sound of a disembodied spirit walking. Thomas described the footsteps as though someone wore a pair of boots. 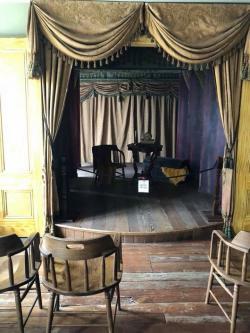 The Whaleys attributed these sounds to Yankee Jim Robinson.The parlor has a lot of ghostly activity since it was built over the spot where the hangings were conducted. There is a great deal of evidence of ghosts at the Whaley House. Some celebrities have had experiences there. Regis Philbin claimed to have a ghostly encounter in 1964 that he believed was Anna Whaley. Sybil Leek, famous psychic, supposedly talked with a child who accidentally broke her neck by running into a clothesline while playing in the backyard, but there is no documentation of such a death on the premises. Some claim an employee of the museum created this story to embellish the ghost stories. Hollywood has many houses with haunted reputations. Marilyn Monroe house. Her spirit is said to be restless and roams the house. Psychics visiting the home have said Marilyn declares her death was an accidental overdose not suicide. Joan Crawford's home has been exorcised numerous times but malevolent spirits remain. 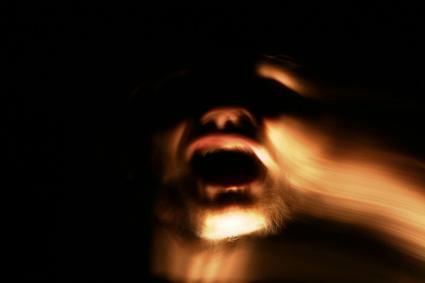 It has been stated that demon spirits possessed Joan. July Garland's home is said to be haunted by a ghost. Ozzie and Harriet Nelson home. Ozzie's apparition was sighted and said to appear sad. George Reeves, TV Superman. Police determined his death was suicide, although friends and family believed he was murdered. Paul Bern and Jean Harlowe home. This is a very detailed account of the mysterious suicide of Jean Harlowe's husband. Conspiracy has surrounded his death and years later, actress Sharon Tate (victim of Charles Manson family) encountered Bern's ghost. Rudolph Valentino is said to haunt his home, Falcon's Lair. Harry Houdini's mansion, a castle-style design burned years after his death and was abandoned. People claim to see a shadowy figure. Barrymore Estate. Visitations by John, Ethel and Lionel. Buster Keaton's home. Buster is still up to his old pranks. He turns off the lights and unplugs the phones. 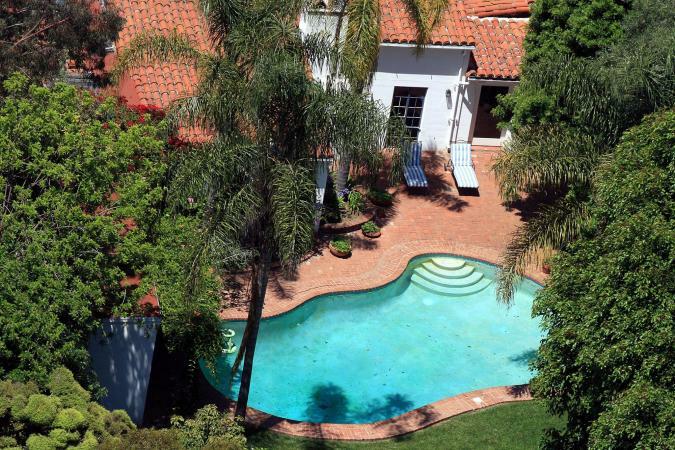 Clifton Webb, aka Mr. Belvedere, the star of the original Cheaper by the Dozen movie lived in Beverly Hills. His ghost is seen in the library and cigarette ashes have been found in unlikely areas of the house. Many more haunted houses in California offer tours and are open to the public. So the next time you're traveling through California, visit one of its notorious haunted homes.